"For the first time in our history we will judge our executioner. For the sake of the world, do not fail…" MGM Studios has debuted the second & final trailer for Chris Weitz's new film, titled Operation Finale, about Mossad agents in Argentina tracking down Adolf Eichmann, the infamous architect of the Holocaust. Based on a true story, Oscar Isaac stars as Peter Malkin who heads to Argentina with a team of secret agents in hopes of finding and capturing Eichmann. The first trailer for this was fantastic, and this one is even better. The full ensemble cast for this thriller includes Ben Kingsley, Lior Raz, Melanie Laurent, Nick Kroll, Joe Alwyn, Haley Lu Richardson, Michael Aronov, Ohad Knoller, Greg Hill, Torben Liebrecht, Mike Hernandez, Greta Scacchi, and Pêpê Rapazote. This has quickly become one of my most anticipated films to see this fall, I'm really looking forward to it. Seems so very intense and gripping. 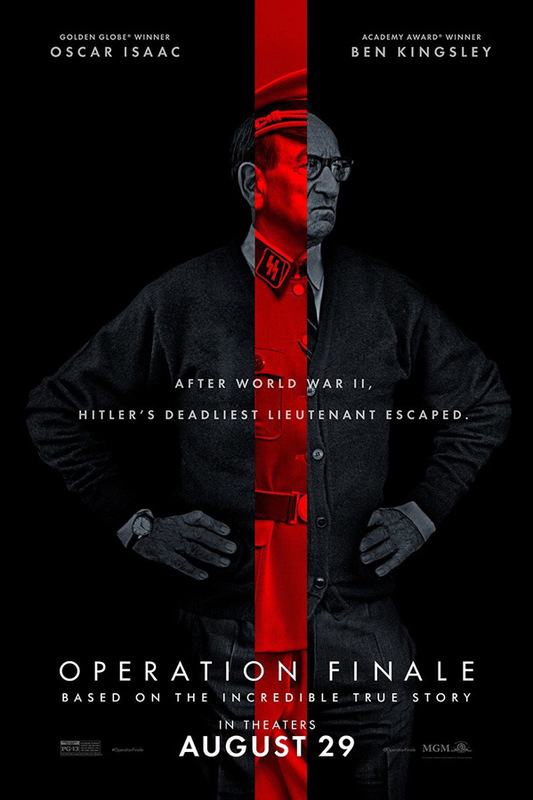 You can still watch the first trailer for Weitz's Operation Finale here, to see even more footage. 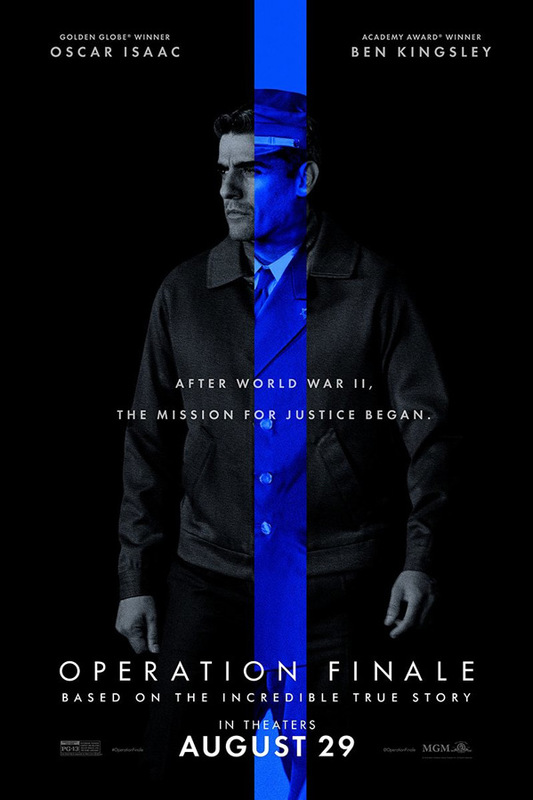 This thrilling true story follows the 1960 covert mission of legendary Mossad agent Peter Malkin (Oscar Isaac) as he infiltrates Argentina and captures Adolf Eichmann, the Nazi officer who masterminded the transportation logistics that brought millions of innocent Jews to their deaths in concentration camps. Operation Finale is directed by American filmmaker Chris Weitz, a veteran producer and director of the films Down to Earth, About a Boy, The Golden Compass, The Twilight Saga: New Moon, and A Better Life previously. The screenplay is written by Matthew Orton. MGM will release Chris Weitz's Operation Finale in theaters everywhere starting on August 29th coming up next month. Who else is looking forward to this?